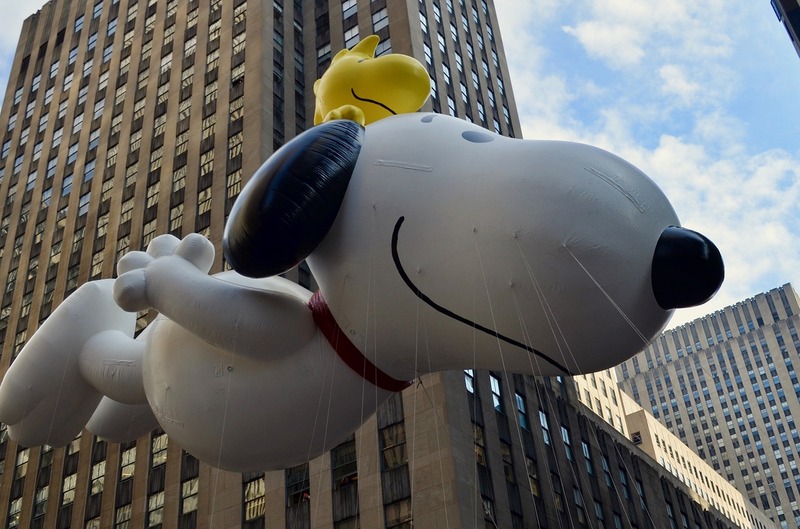 Most of us remember MetLife associated with Snoopy. This has since changed. Disclaimer: We are not affiliated with Metlife or their burial insurance product. Our professional review is meant to inform you so you are better able to make decisions on your life insurance needs. Are you looking for the scoop on Metlife Burial Insurance? Then again, maybe you have been searching for creditable, MetLife final expense insurance reviews? Either way… Good news!! You have come to the right place. We are going to provide you with a professional review of their guaranteed issue life insurance product. In this article, you will hear about the offering they have for consumers of burial insurance, its features, some sample costs and the limitations of the policy. There will not be any punches pulled here. Without too much warm up, let’s get down to the nitty gritty. Metlife or Metropolitan Life Insurance Company has been in the business for over 145 years. They are also one of the largest insurance companies in terms of overall size and various policies on the book. They do offer numerous insurance products including life, auto, home, disability and dental insurance for starters. Financially speaking, MetLife is in excellent shape and very capable of handling claims. A.M. Best, has rated MetLife with an A+ at the time of this writing, which puts it in the upper range of all insurance companies in terms of financial strength. If you are reading different guaranteed acceptance life insurance reviews, you may have chosen to focus on MetLife for one reason or another. Metlife offers 1 burial insurance product. If you are looking for MetLife Burial Insurance or MetLife Final Expense Insurance, you have the same option, one!! May sound nice and tidy, but it is far from a 1 trick pony solution. Yes, this offering you are considering is a guaranteed issue whole life insurance policy which may sound nice. While the coverage is a permanent, whole life insurance policy, be aware it includes a graded, 2 year limited benefit waiting period. What does this all mean? Well, this is a no medical exam policy, that also has no health questions. As such, even someone with a very serious medical condition can obtain permanent life insurance regardless of the medical outlook. While that sounds easy to qualify for, buyer awareness is required!! You are doing your due diligence here which is a good thing. Too many people become victims by rushing into buying coverage without shopping to find the right product at a good price. Some will even hear a big name company and take the leap of faith and just purchase coverage. While many of these companies are good ones, the policy may not suit your needs very well. A life insurance product that does not meet the end goal can be almost worthless. Whether a final expense policy or burial insurance, you want to be sure to money is available to the named beneficiary when the time comes. How Does This MetLife Insurance Coverage Work? It may seem that this is a great policy to apply for. After all, you can’t be declined for any health condition like most other life insurance policies. If only that was a true statement!! Here is the scoop on how MetLife burial insurance works. A waiting period or limited benefit period of 2 years is written into the policy contract that states that from the point of acceptance, the insured will not be covered for natural death for a period of 2 years. During that time, if the insured should pass away, their loved ones would receive all paid premiums plus 10% compounded interest as the benefit amount. Obviously, this is not the full death benefit of the policy. If however, if an accident should claim the insured’s life, the full death benefit would be paid regardless of the 2 year clause. On a side note, this is not proprietary to MetLife, but a 2 year waiting period which places a limited benefit amount in place for natural death is standard on all guaranteed acceptance life insurance. Some companies even use a 3 year limited benefit clause in their policies. Limited benefit clauses are how any life insurance company mitigates the near pure risk they take on with extreme high risk life insurance. Without doing so, the product funding (money pool) would not be available to honor the claims of policy beneficiaries. After the 2 year waiting period has passed, MetLife insurance will pay the full death benefit to your beneficiary/trusted family member for both accident and natural death, just like any medically underwritten burial insurance policy. The key points to remember or write down about this coverage from MetLife…limited benefits for the first 2 years and a considerably higher cost of ownership than any other type of life insurance. What happens to your loved ones if you pass away in those first 2 years? Folks, before we go much further here…. We do not recommend Guaranteed Acceptance Life Insurance unless all medically underwritten options have been exhausted. There are plenty of no exam, simplified issue whole life policies and even guaranteed/no lapse universal life policies (permanent coverage) designed for seniors. If you have not worked with a seasoned independent agent that deals with tough health conditions, you need to find one. Ninety percent of the time, you don’t need guaranteed acceptance life insurance. To better guide you, here is a life insurance generality to remember – The easier an insurance policy is to qualify for, the more it will cost you. Guaranteed issue life insurance is as easy as it comes. Who likes to overpay for insurance coverage and have lower benefits? Not too many people. The term burial insurance is really nothing more than a common use of final expense whole life insurance. Don’t get caught up on the name of the product. It is the type of product you purchase that is most important. For final expenses, burial insurance or even a funeral policy, permanent coverage such a whole life insurance, though more expensive, is a much more appropriate choice. The Metlife final expense offering is whole life insurance, but carries a 2 year waiting period for full benefits. Outside of these rare examples, you should not be applying for guaranteed issue or end of life insurance like this. It is simply not in your best interest cost or benefit wise let alone your loved ones whom you are trying to protect in the first place. Don’t let those television ads and junk mailers convince you into believing in something these guaranteed acceptance policies cannot deliver. They are more expensive than all other types of life insurance, period. Remember, they are meant for people who have serious health ailments that are very high risk to a life insurer. If you have not already done so, take action now. Find a seasoned, independent life insurance agent who specializes in cases like this. They will have the knowledge and resources to help guide you to an affordable product that will get the job done right. Give them some insight to your goals and answer all their questions as best as possible. What About Term Life Insurance From MetLife Insurance? They Mentioned It To Me. Are you a senior or someone near that age? Forget about it. Term life insurance is not for burial insurance, funeral insurance or final expense life insurance. No, No and No!! This is the second largest mistake after purchasing guaranteed issue life insurance unnecessarily. Sorry, but experience dictates this. This is one of the largest complaints we have heard over the years from people who request our help. With all of them…had they bought affordable, permanent life insurance instead of the term insurance to pay for end of life expenses they would have been ok. Some we could bail out, others were not so fortunate. Ladies and gentleman, buy permanent life insurance for end of life protection. Whole life or Guaranteed Universal Life only. I feel a rant coming on so I will drop the subject right here. You’re very likely to realize that I cannot recommend MetLife Insurance Company’s Guaranteed Acceptance Life Insurance product. This is not a serious burial insurance company to be offering 1 product for the masses. Guaranteed Acceptance coverage is only for very high risk individuals. Most seniors are in need of such liberal coverage and a needlessly overcharged. Life insurance companies that are serious about end of life insurance products offer multiple products to accommodate different levels of health and protection. This provides maximum affordability for those who are on a fixed income as well as full, immediate benefits. This is what the majority of seniors need and want. A company like MetLife not having a medically underwritten policy available for seniors is really disappointing. Do it right or don’t do it at all. We see a lot of seniors buying policies like this thinking it a good from a reputable insurance carrier. Problem is, this policy is not full, immediate benefits like most of these folks believe. You see, these trusting consumers did not purchase the plan thru a reputable independent agent. Instead, the coverage was purchased by calling MetLife directly. While there are other companies that offer guaranteed issue life insurance products in their “senior” offerings, they are typically dedicated life insurance companies that market life insurance as their central focus. As such, it makes sense why they may offer a guaranteed acceptance senior product among others. Some of the best final expense offerings actually come from lesser known companies that don’t spend all kinds of money advertising on television. Avoid television ads and junk mailers. There is a reason they don’t want to find an independent agent/broker and it isn’t to save you money that’s for sure. Don’t get me wrong, MetLife is a quality company with a long history of paying its claims. Yes, they are financially strong which indeed is a plus. However, when doing a fair and professional insurance review, it is not correct to compare a company to another company and insist company A’s product must be better than Company B’ product due to the household name it carries. Some of best burial insurance for seniors can come from some of the lesser known companies. May of these insurers also have excellent financial ratings. These are often companies that focus on limited lines of insurance. In other words, they are just in the life and or senior health insurance business. They don’t write auto, dental and accident insurance policies. Light and fast on their feet and easy to work with. Consensus and recommendation – Whether you are digging into MetLife final expense insurance or MetLife Burial Insurance, Snoopy just didn’t design a product that is very affordable or in the best interest of the average senior. While Metlife life insurance reviews may reveal the high cost of their offering, the more important detail to grasp is that guaranteed issue burial insurance coverage is typically not needed and overpriced compared to your other options. Don’t get married to the name of the insurance company. It can cost you and or beneficiary(s) big time!! After reading this if you feel you need Guaranteed Issue coverage or have been declined elsewhere for coverage, please give us a call. There are cases that do require it. This should be sorted out by a professional that works with all the top carriers. Gerber Life, Mutual of Omaha and even AIG are much more affordable options for most people (just to name a few). You have everything to gain, but little to lose.